The difficulty with feline kidney disorder is, when it becomes clinically recognizable and/or a blood test shows evidence of kidney dysfunction, we are dealing with a condition that requires constant management at best. Cats can live a full, active life for years with Feline Chronic Renal Failure (Feline CRF) – it is not a “sudden-death” sentence. 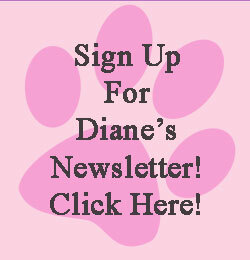 There are many ways to help your cat and improve his quality of life. Consult your holistic veterinarian for appropriate diet and other treatments for your cat since each cat has his own individual needs. You can augment this treatment by offering your cat Acupressure Treatments that support and strengthen his kidney function. Indicators of Kidney Disorder From a western medicine perspective, a cat experiencing kidney disease may exhibit the following signs: poor appetite, extreme thirst, weight loss, dehydration, vomiting, or frequent urination. From a TCM perspective, indications of kidney imbalance include all of the above mentioned signs as in western medicine as well as: shallow respiration (more exhalation than inhalation) or wheezing; loose or loss of teeth; profuse, clear urination; dull coat or sticky-looking fur; premature graying of the face; fragile bones; loss of hearing or other ear problems; plus, slow healing of an injury; and lethargy. Kidney Function In Traditional Chinese Medicine (TCM), the kidneys are referred to as the “Root of Life.” They store the original “essence” of the body and are responsible for growth, reproduction, and physical development. 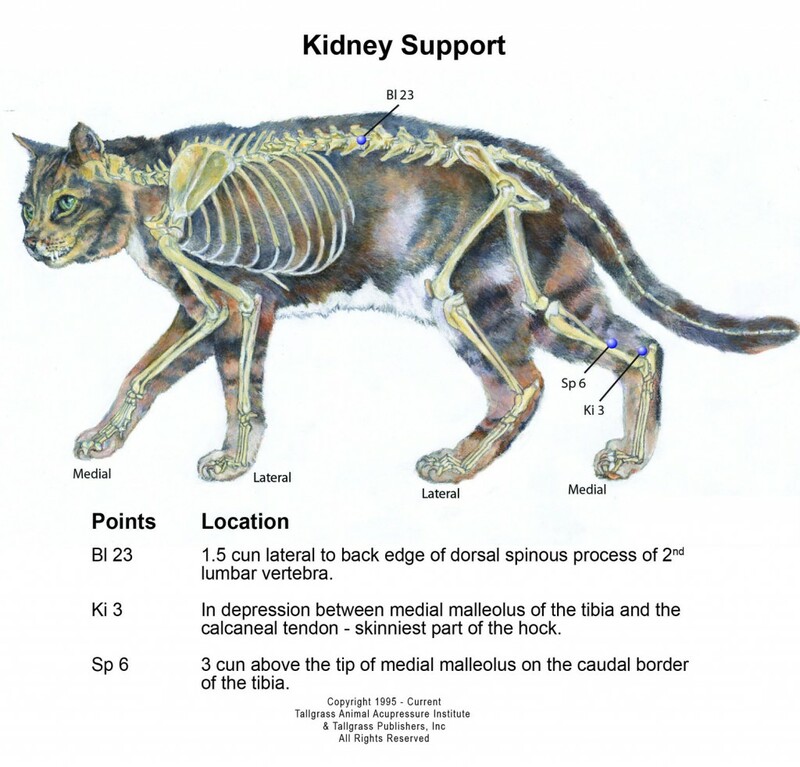 The kidneys are the foundation of yin and yang chi in the human and feline body. Thus, any insult to or dysfunction of the kidneys is seen as critical. The following Acupressure Session is specifically for optimal functioning of the kidneys. It can be used for both perfectly healthy cats to help prevent kidney issues and for cats whose kidney function is already compromised. By offering your cat this session, you are giving him a gift of life, enjoy this session together.